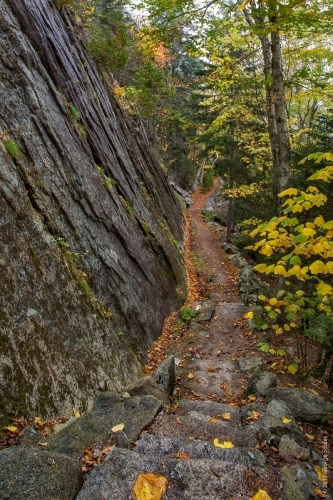 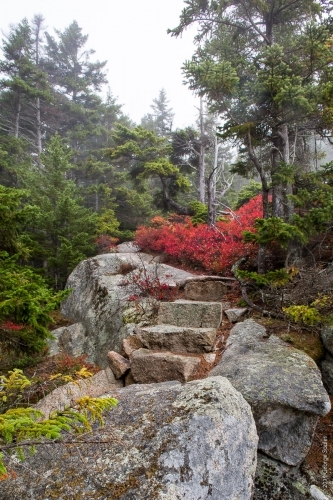 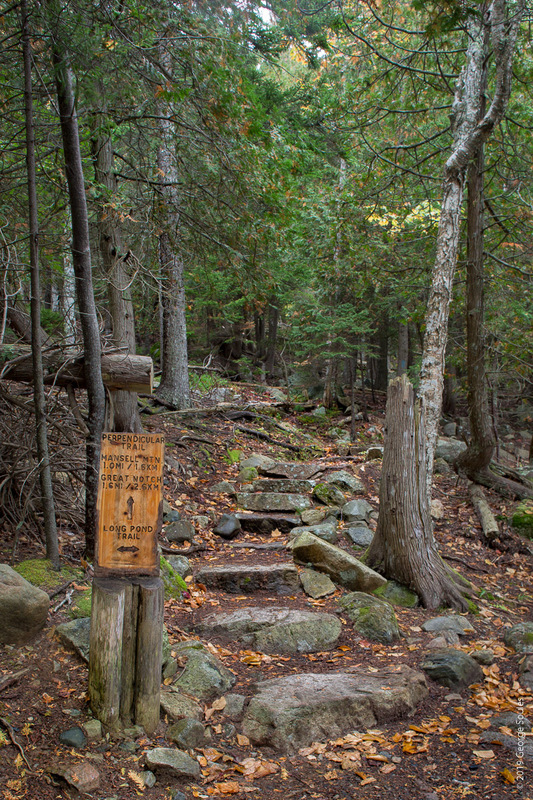 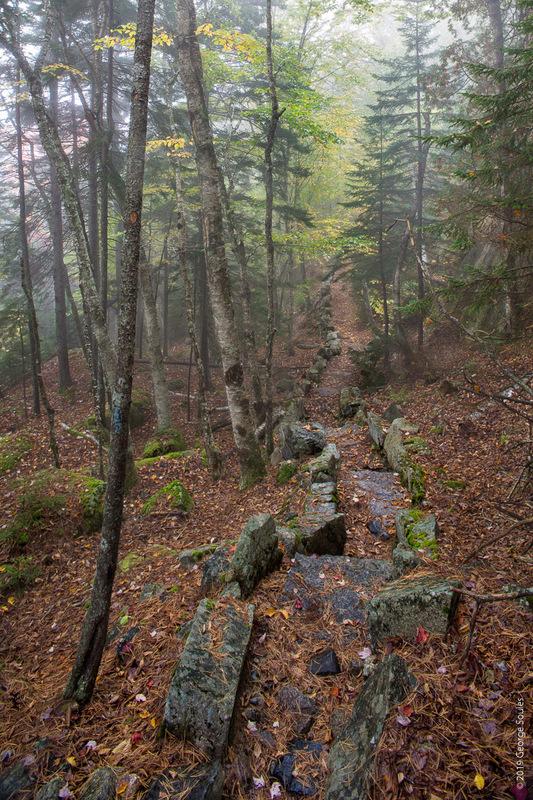 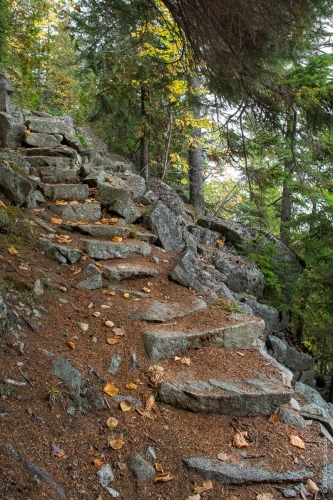 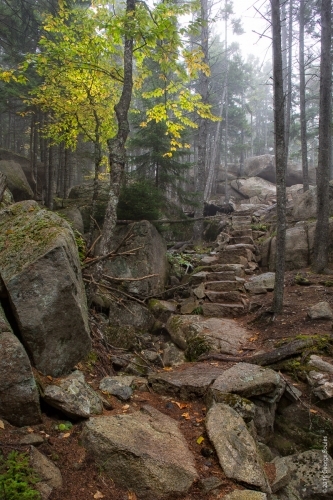 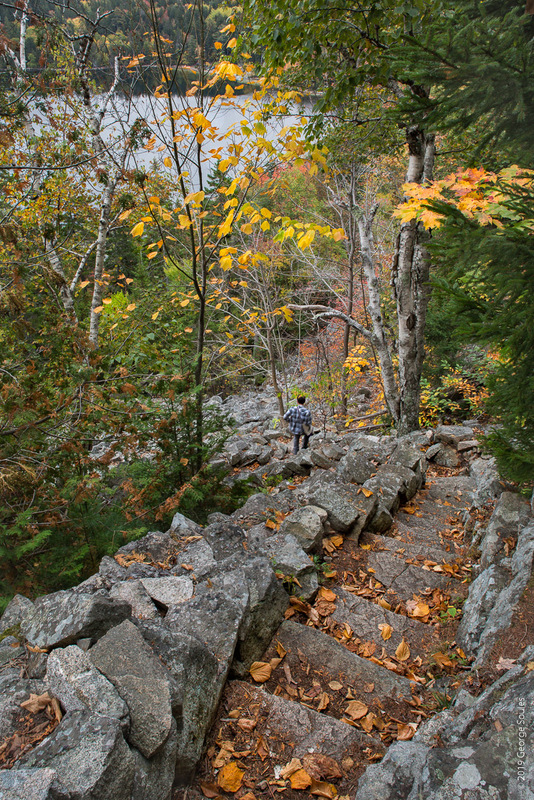 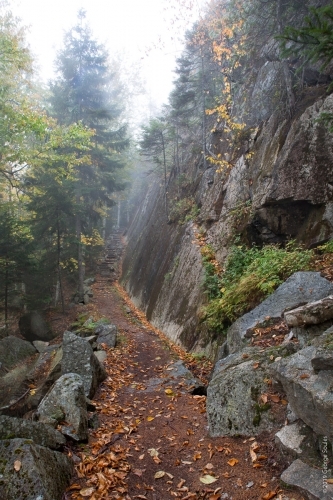 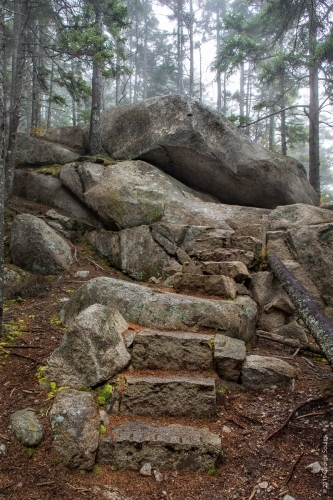 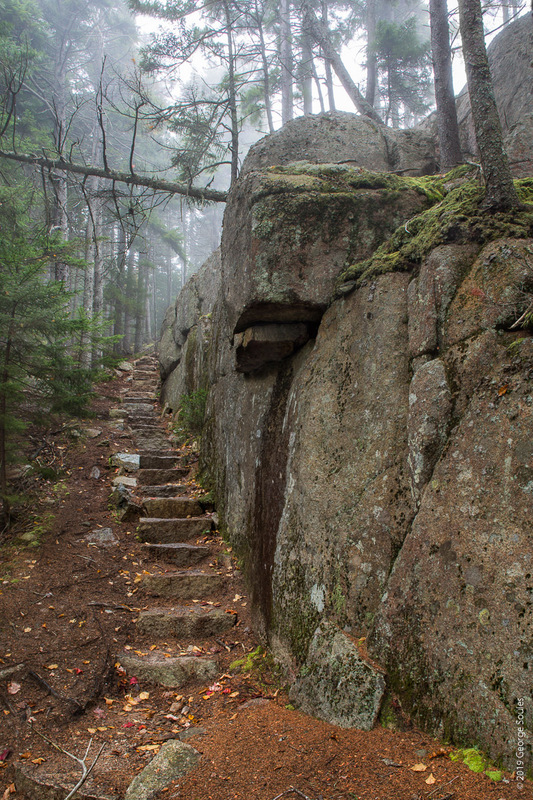 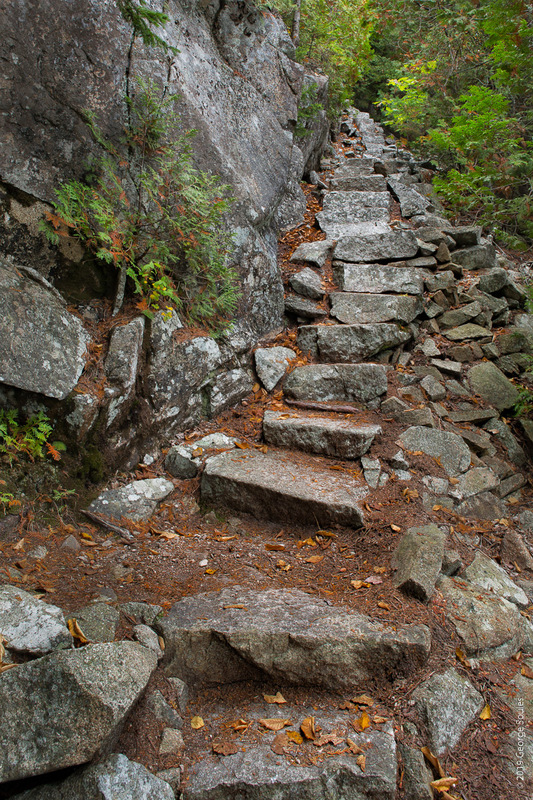 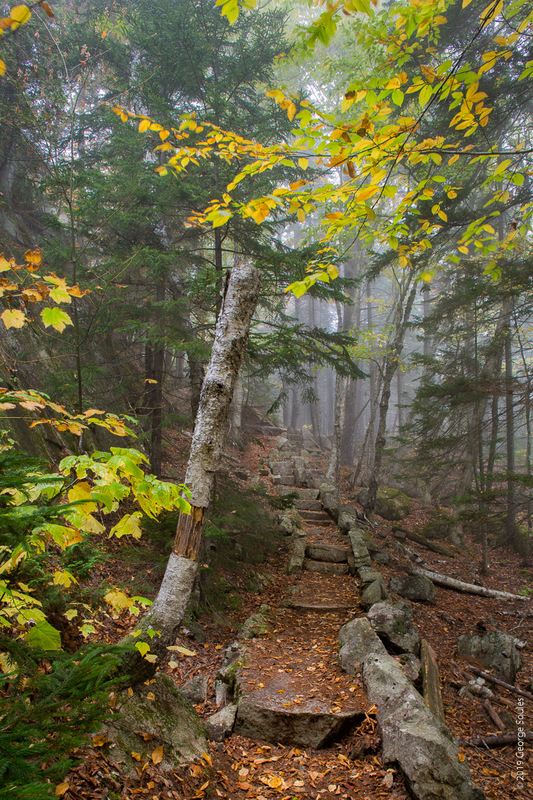 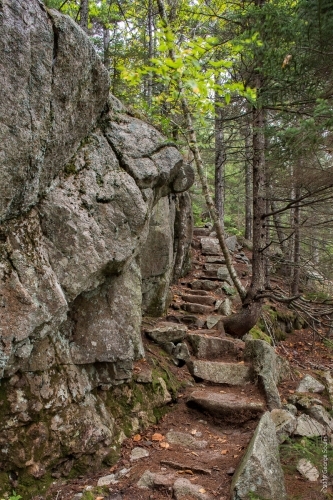 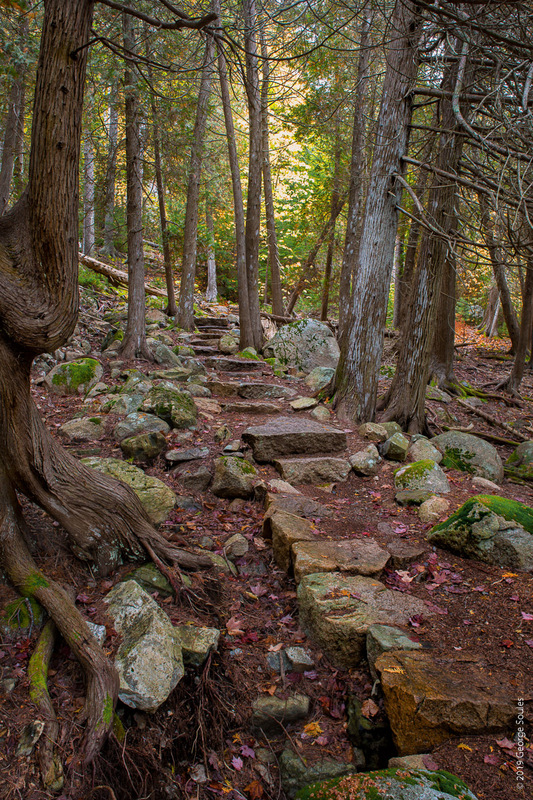 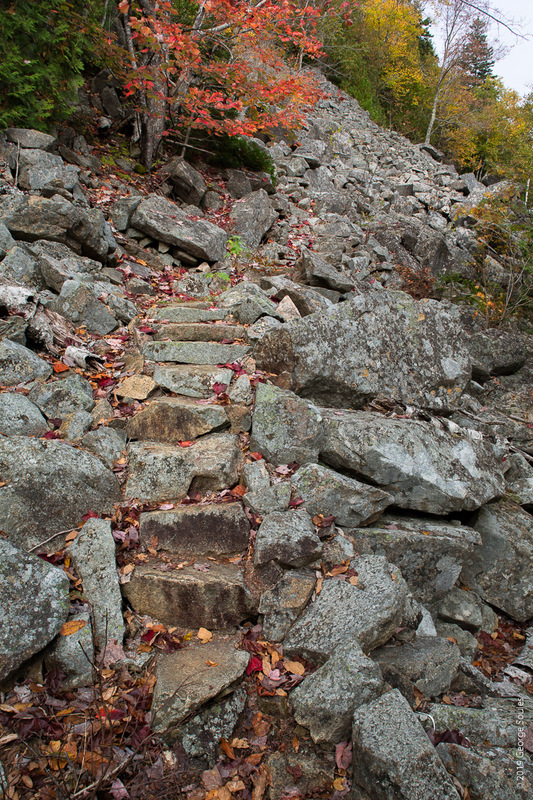 Though only a mile long, the Perpendicular Trail is not for the faint of heart because your heart will get a workout as you ascend the trail’s 704 stone steps. 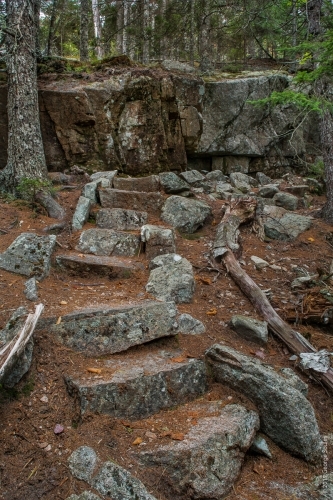 For even more fun, add a backpack full of camera gear and then do the trip several times until the light is just right. Built during 1933 and 1944 by the Civilian Conservation Corps (CCC), this is one of the most highly constructed trails on the island. 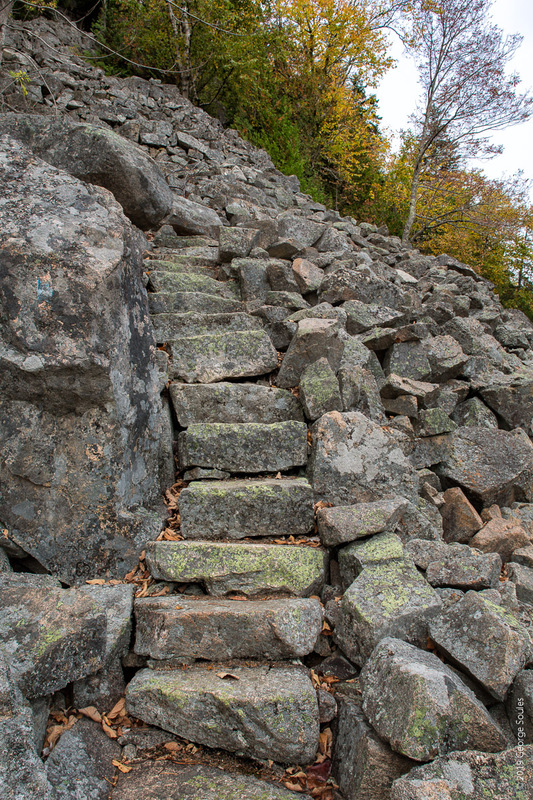 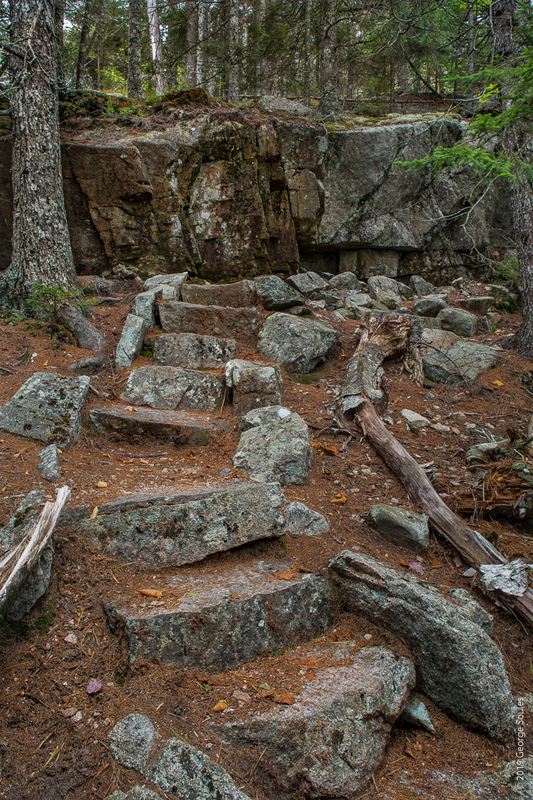 In the photos you can see the steep switchbacks of granite steps rising through an open talus area. 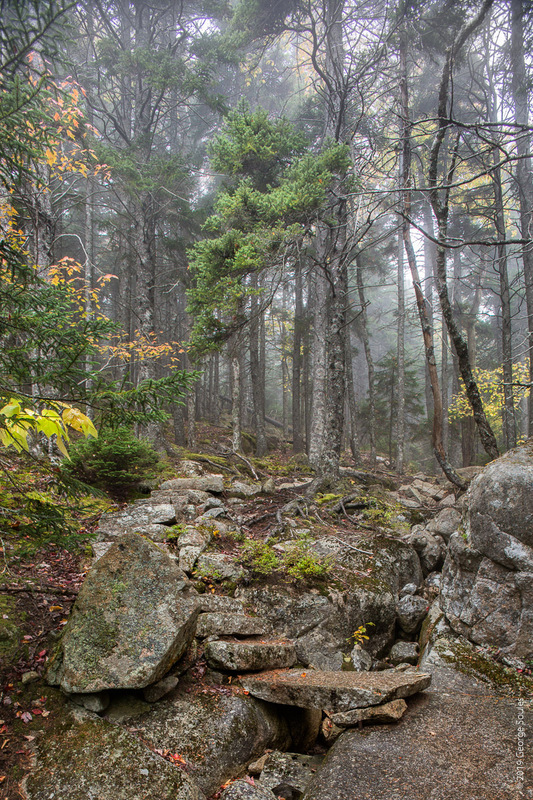 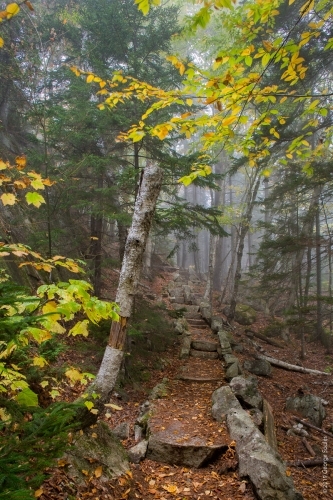 To learn about why and how this trail was built, read Trails of History by Tom St. Germain and Jay Saunders, pp. 128-132.